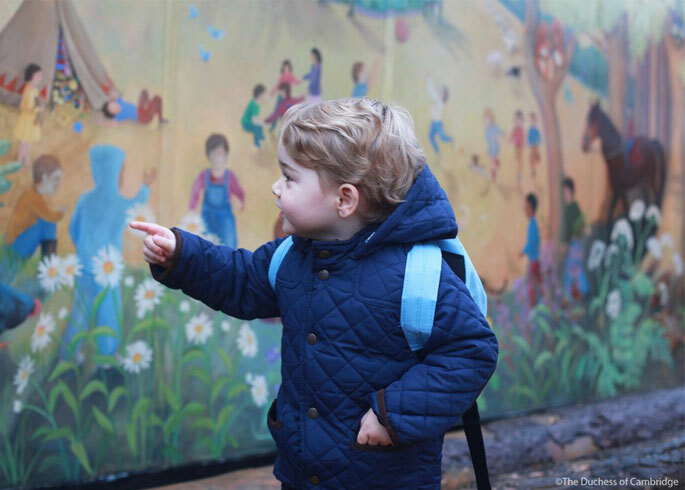 The photos, taken by Kate herself, show the little prince smiling outside of the Westacre Montessori School nursery in Norfolk. 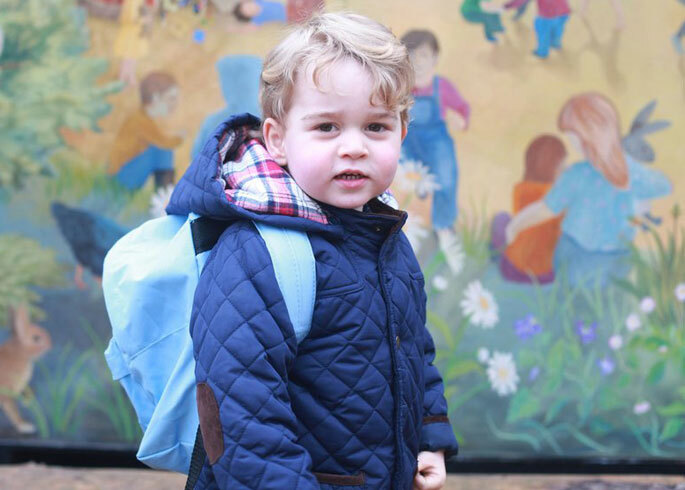 Dressed appropriately for the cold winter weather, George wears a cosy quilted jacket and carries a baby blue backpack. 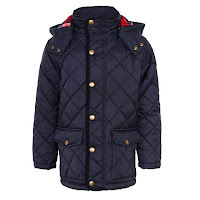 The coat is said to be from John Lewis and was bought in 2013, so it is unfortunately out of stock. 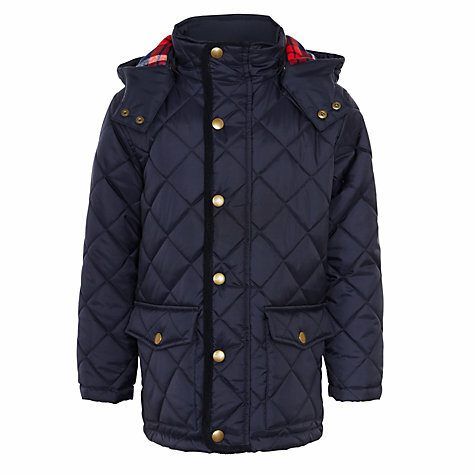 However, the British department store do have a similiar style without the brown detailing and finished with shiny gold buttons. We're yet to find out the identity of the backpack, so stay tuned!